Iberdrola and Gamesa, two of the most important players in the sector, have their headquarters in the northern Basque region's biggest city and its verdant surrounding area. Gamesa merged with Germany's Siemens in 2017. Both companies lead the Spanish wind power sector whose domestic growth stalled after an economic downturn led the central government in 2012 to end incentives for renewable energy. Despite this Spain remains the fifth country in the world in installed wind power capacity and the outlook for the sector has improved with new tenders launched in 2016. The wind power sector is expected to invest 5.0 billion euros ($6.0 billion) in Spain by 2020, according to the Spanish Wind Energy Association (AEE). The new context is fueling the optimism of Basque wind power firms, which drive the sector in Spain. "We want to be a benchmark in the European Union," said Arantxa Tapia, the minister for economic development with the Basque regional government during a recent meeting with the press organised by WindEurope, a European wind power association. Markus Tacke, the chief executive officer of Siemens Gamesa, said Bilbao is "attractive for our industries" since there is "a very good combination of industrial leadership... and support from the (regional) government". 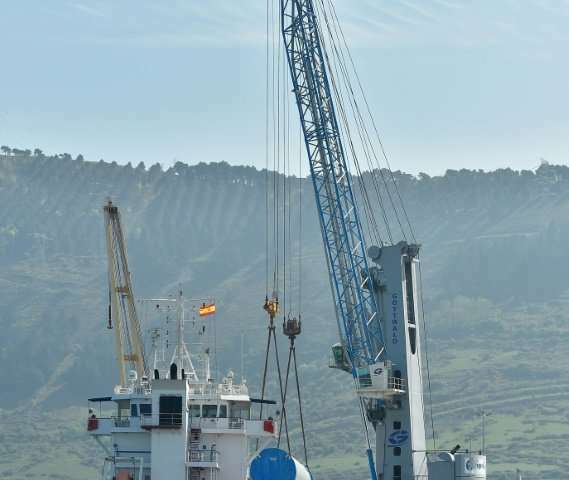 The Basque Country barely represents 0.6 percent of Spain's installed wind power capacity but it is home to 112 firms that cover almost the entire production chain for both land and off-shore wind farms. Since 2013 they have been clustered in Windbox, a public-private consortium which has a spacious and modern test centre in Eibar, 50 kilometres (30 miles) east of Bilbao. Spanish wind power is concentrated on land in a country which has vast, sparsely populated regions in the interior such as Castilla-La Mancha, whose wind-swept plain is depicted in "Don Quixote", the most famous work by Miguel de Cervantes. It is a segment of the industry known as "onshore" and on which local firm Haizea focuses completely with factories that build giant wind turbine towers that are up to 160 metres (525 feet) high. They will build them in a recently completed factory in Bilbao's port that is 500 metres long by 130 meters wide. 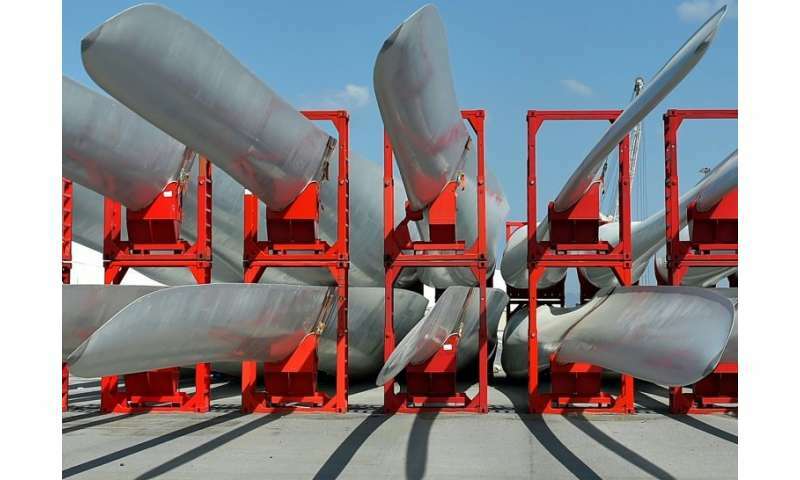 Haizea faces competition from China given that paradoxically, under current EU anti-dumping measures, Chinese steel cannot be imported but already manufactured wind turbine towers can. "Clearly it is a threat we are not comfortable with," said Jordi Mas, Haizea's commercial director. Haizea also wants to be a strong challenger in the "offshore" segment that makes marine wind turbines and the cylindrical foundations needed to anchor them. Iberdrola and Siemens Gamesa already have a strong presence in offshore wind power outside Spain. In fact, in Europe this segment is dominated by five northern countries—Britain, Germany, Denmark, the Netherlands, and Belgium—which account for 98 percent of the EU's installed capacity. The future of offshore wind power in Spain is in floating farm technology, in which wind turbines are anchored to the sea floor using chains and anchors instead of a cylindrical foundation, Juan Virgilio Marques, the head of the Spanish Wind Energy Association, told AFP. "The Basque Country and Canary Islands are the two areas in Spain where floating wind farm technology makes sense" since it is designed for deep waters, said Marquez. But Juan Rivier Abbad, head of regulatory affairs for Iberdrola Renewables, predicted Spanish wind power firms will continue to focus on the "onshore" segment in the near future since there are plenty of suitable land in Spain to install wind turbines. "Perhaps when 'onshore' is filled to capacity we will move to 'offshore' but for the moment we have much land area which can be developed. And much cheaper," he said.